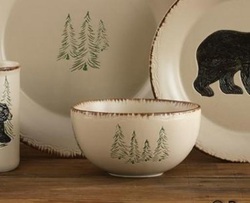 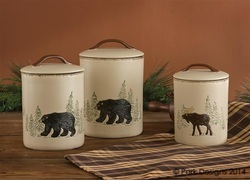 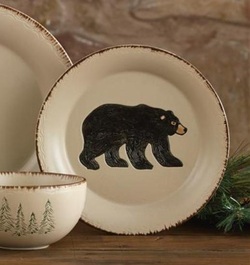 A fantastic look,The Rustic Retreat Dinnerware Collection features a Country, Rustic pattern with Bear and Moose Motif. 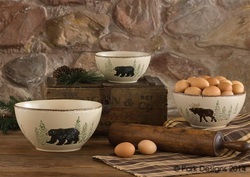 This collections is Durable stoneware that is microwave and dishwasher safe. 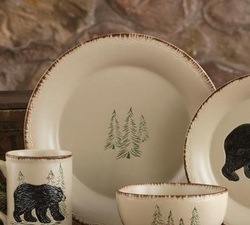 Most of our dinnerware collections are ordered by demand, so please allow 7-10 days before shipment. 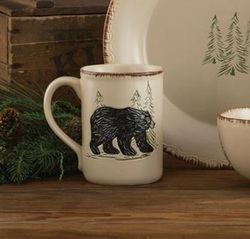 Each mug measures 4.25" x 3.5" holds 12oz., and comes as a set of 4 Mugs.